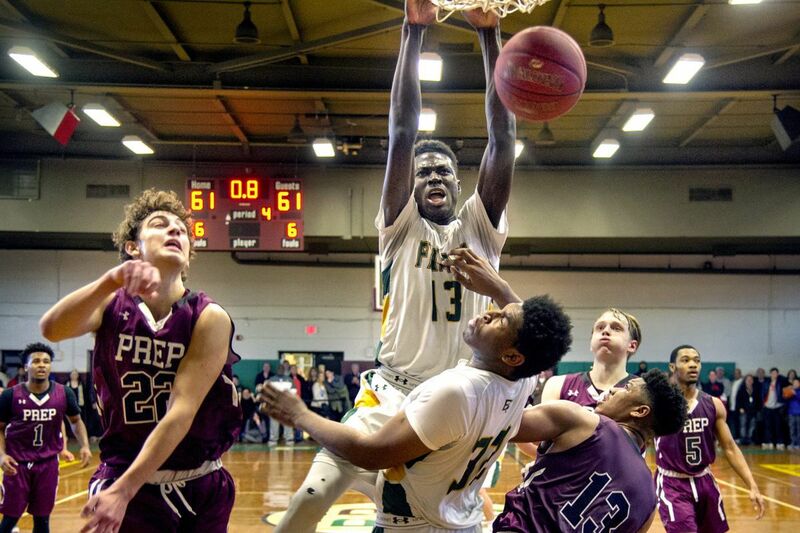 Bonner-Prendergast’s Ajiri Johnson scoring the winning basket against St. Joseph’s Prep on a dunk as time expires. Wednesday night at 6:30, Archbishop Carroll and regular-season champion Bonner-Prendergast will meet in the Catholic League semifinals at the Palestra. B-P last won the title in 1988, and Carroll held its only crown in 1995. The Friars return to the semifinals for the first time since 2008. After falling short last season, the Patriots return to the Palestra for the ninth time in 10 years.